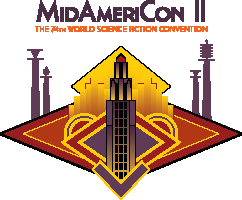 MidAmeriCon II, the 74rd World Science Fiction Convention held August 17-21, 2016 in Kansas City, Missouri. The Masquerade disc contains all of the presentations, including the young fans, as well as the awards and the Paul & Storm half time concert for over two hours of content. The presentations and the awards have been edited to add more views, stills, and complete credits for each costume.